A military POA may serve the same function as any other POA. The principal, or person giving the authority, allows an appointed agent to act on her behalf. The main differences between a military POA and other POAs is that it allows more flexibility in the form, substance and execution of the document. This allows a deployed service member to create the document when it would otherwise be burdensome to do so. A POA may give the agent authority to perform a specific task for the principal, or the authority may be broad. For example, the POA may limit the agent's authority to filing taxes for a specific year or selling one piece of property owned by the principal. Conversely, the document may allow the agent to take care of all of the principal's financial affairs, from paying bills to giving gifts. The POA may provide a specific date on which the authority will expire, or it may provide that the authority continues until the principal revokes it. Additionally, the principal may create a durable POA for health care, which allows the agent to make health care decisions for the principal if she becomes disabled and cannot make decisions for herself. In order to obtain a POA for your spouse, your spouse must draft the document and include specific language. The document should be labeled as a military POA and provide a statement that the document is exempt from state formalities, but will have the same effect as if the document were created in the state. Additionally, the document must be signed by the principal and notarized by a service member, judge or civilian attorney. 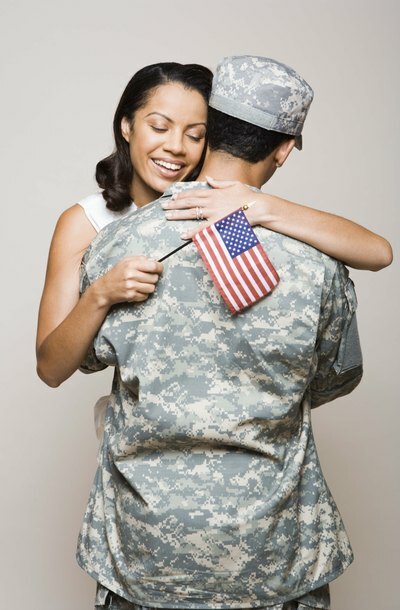 Your spouse may contact U.S. Armed Forces Legal Assistance to get assistance with creating a military POA. All states are federally required to recognize a military POA, despite the fact that the POA may not meet the state's usual requirements for such a document. The state may require other POAs to be recorded with the court or notarized by an official state notary. However, so long as the POA meets the requirements for a military POA, it will be recognized in every state.